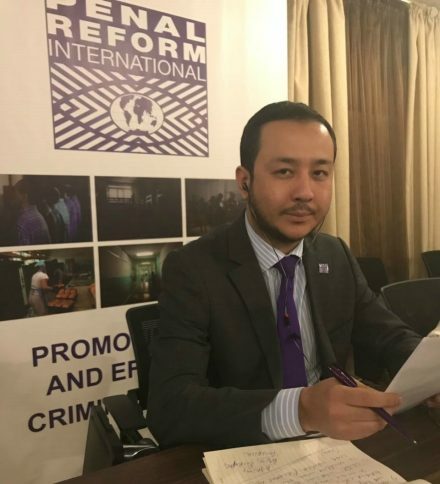 On Wednesday 17 January, PRI’s Central Asia Regional Director Azamat Shambilov took part in a US Congress hearing, organised by the Tom Lantos Human Rights Commission, on ‘Advancing Human Rights through International Prison Reform’. The hearing, which was hosted by Congressmen Randy Hultgren and James P. McGovern, explored the problems facing prisons around the world and examined the situation for female and juvenile offenders, providing examples of successful reform initiatives as well as effective alternatives to prison. Other panel speakers included Philipp Meissner, Crime Prevention and Criminal Justice Officer, United Nations Office on Drugs and Crime; Hilary Anderson, Senior Specialist, Inter-American Commission of Women, Organization of American States; and Craig DeRoche, Senior Vice President for Advocacy & Public Policy, Prison Fellowship. Azamat, who participated in the hearing from Kazakhstan via a live video link, spoke about concerns regarding the excessive use of solitary confinement in prisons around the world, as well as the damaging impact of placing children in detention and the need for a distinct approach for young adults who have not reached full maturity. Azamat’s written testimony can be viewed here. The full hearing can be viewed on the Commission’s website here.